Art and Soul offers guests a chic setting in which to meet and connect. 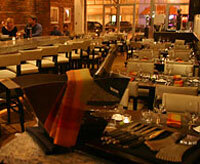 With celebrated two-time James Beard Award winning Chef Art Smith as chef/owner and Culinary Institute of America-trained, native Washingtonian Travis Timberlake as executive chef, this Capitol Hill power spot has received national and local acclaim for its "Food for the Soul" - modern regional cuisine with southern accents. Article One, named for the corresponding article of the U.S. Constitution establishing the structure of Congress, is conveniently situated in the newly renovated atrium lobby. The restaurant offers a casual location for breakfast and lunch each day, while featuring upscale dining for dinner each evening. Choose from a selection of unique dishes blending local influences, organic products and grilled favorites with a creative twist. Breakfast will feature Hyatt�s signature breakfast menu in addition to a daily breakfast buffet. For lunch, enjoy a selection of creative soups, salads, sandwiches and grilled entrees. 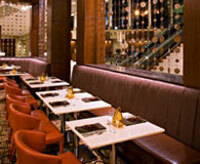 Dinner provides an upscale grill menu, featuring Certified Angus Beef steaks, chops, and seafood. 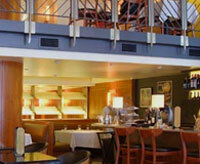 Generous side dishes and a selection of desserts pair nicely with the grill menu. 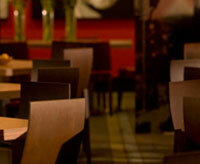 Belga cafe is a great place to eat typical Belgian and Euro-Fusion cuisine. 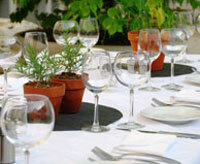 Combining an intriguing atmosphere with excellent, light and healthy interesting food. Belga Cafe is a little bit of Brussels on the Hill, with an open kitchen and a sidewalk cafe. Opened in 1999, and chosen by Gourmet Magazine in 2000 as one of "America's Best Restaurants," Johnny's Half Shell relocated to its present Capitol Hill location in September 2006. Renditions of Chesapeake and Gulf Coast Seafood remained the kitchen's focus, and the restaurant's new home maintained its homespun conviviality. Said Washingtonian Magazine, "The capitol dome shines in the background, a reminder of the new, more serious-minded neighbors who come here. But Johnny's still feels like home." In September 2007, New York Times dubbed the new venue a "Capital Gain" for Washington, DC. A fresh new style is in the works at Poste Brasserie. We will be closed Feb. 15-26 Join us in celbrating some great changes to Poste when we re-open on Feb. 27th Be sure to visit throughout the spring and summer as we continue to add to our atrium lounge and courtyard. 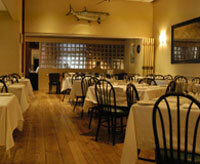 We thank you for your support as we strive to provide you with memorable dining experiences.